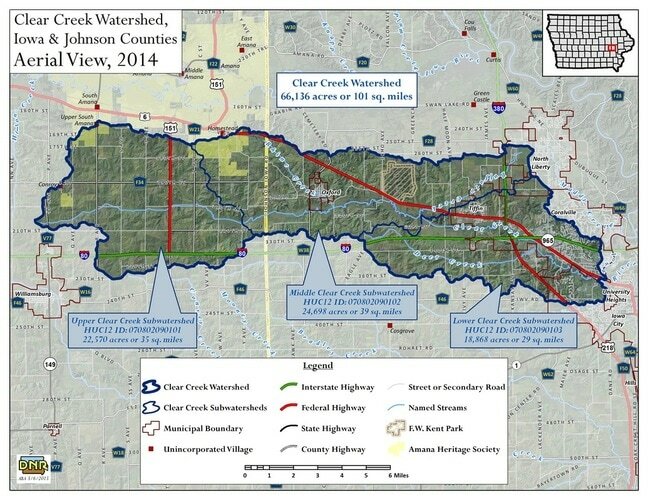 The Clear Creek Watershed Coalition was formed in 2015 with all eligible members joining at the time of the 28E agreement. The 66,000 acre watershed area is predominately rural, with only about 11,500 acres being urban. Existing best management practices in the watershed consist of ponds, terraces, water and sediment control basins, waterways, wetland, bio-swales, rain gardens, and more. Over 80 miles of streams span the drainage area.